Start spreading the news… age fotostock CEO Alfonso Gutiérrez and Content Manager Julieanne Eason will be leaving Barcelona this Friday to attend the 18th annual PACA conference “Opportunity In Change” on the 20th and 22nd of October, followed by the Visual Connections event on the 23rd, all taking place in central New York. The PACA conference is a two day event that provides an opportunity to network with providers, agents, clients and figureheads in the stock industry, as well as featuring a full program of panel talks, discussions, words from the wise in the industry. These panels will be chaired by our age fotostock USA sales manager Susan Jones. Not be missed – Alfonso as CEPIC President will be speaking his opinion on Image Registries on Tuesday at 11am. We hope to be enlightened by the variety of talks in between meetings with our agents and providers. Visual Connections is a one day event which brings together stock agencies and existing or potential clients. 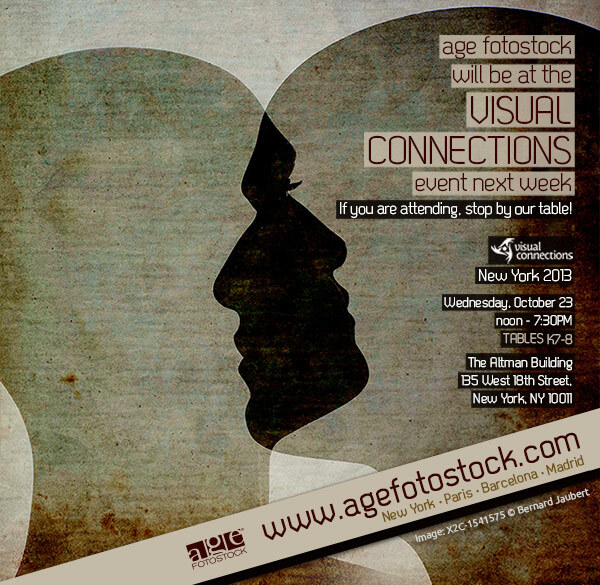 Our age fotostock USA team will be there representing the company – please feel welcome to drop in and visit us! For more information about PACA, CEPIC and BAPLA click here to check out one of our previous posts.